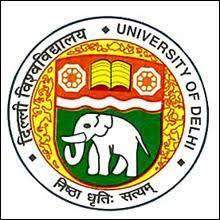 Graduation/ Post-Graduation degree from Delhi University or any other recognized Indian/ foreign university with minimum 50% marks. Minimum 45% marks for OBC candidates and 40% for SC/ ST, PH category candidate in Graduation/ Post-Graduation degree. Educational Qualification: Candidates should have either Post-Graduate Degree/Graduate Degree in any stream when they are applying for DU LLB 2019. General Category Candidate: Students who belong to the General Category must have a minimum of 55% in their Graduation if they wish to apply for the Exam. OBC Category Candidate: Students who belong to OBC category should have a minimum of 45% aggregate if they wish to apply. SC/ST Category Candidate: SC/ST candidates who wish to apply for the Entrance exam need to have a minimum of 40% of the aggregate marks. PWD Candidates: Candidates who belong to the PWD category and widows and wards of ex-servicemen/serving personnel (CW) have a relaxation of 5% marks. DU LLB 2019 Age Criteria: Candidates should not be younger than 20 years of age in order to be eligible for DU LLB 2019. But, there is no upper age limit to appear for the entrance examination. Candidates should not be younger than 20 years old. Candidates should either be undergraduates/postgraduates and should have got their degree either from Delhi University or any other Recognised university. Applicant should qualify for the three/five Year LL.B degree from the University of Delhi or any other recognized University for LLM Course. I want to appear for the LLM exam, how much should i score in previous exam? The General Category Candidates should required minimum of 50% aggregate marks or equivalent grade and for SC, ST or Reserved Category 45% aggregate marks or equivalent grade. Know more about the eligibility here. What is the eligibility criteria to appear for the exam? i am pursuing CA . am i eligible to enroll for du llb admissions? Sorry, You are not eligible to apply for DULLB Course, as CA is a professional course, not the graduation, and u need to complete your graduation with 50% marks to apply for DULLB Course. To know more about eligibility criteria, click here. After 12th we can do LLB? No, after 12th you cannot do DU LLB. U have to have a Degree course in order to apply for the examination. Please follow the link here to know more about the DU LLB Eligibility Criteria. What is the Upper Limit of Age to Appear for the exam for a General Category Candidate? The upper age limit to appear for DU LLB for general candidates is 23 years in case of LLB and 35 years in case of LLM. Click here to know about other DU LLB eligibility criteria. Hi I am saswati and want to pursue LLB course in DU but I have scored 49% marks. can I appear exam? The minimum marks for GC is 50% and for OBC it is 45% So you cant appear the DU LLB Entrance exam. I am an SC candidate and have scored 39. 98 % in pg. can I give DU LLB exam? You are not eligible to appear for DU LLB Entrance exam. I am 19 years old I have done my graduation. Am I eligible for fill the du llb form? You are eligible to apply for DU LLB 2018 examination. You need to have a minimum of 50% aggregate in your qualifying exam. To know more about DU LLB eligibility click here. You cannot apply for the DU LLB, as minimum age limit is 20 years. Maybe Next Year you can apply. To follow the link, Click Here. Eligibility for DU LLB for Tibetan Candidates or ones with Tibetan and English as their major. I have graduated from Varanasi Tibetan University with Tibetan and English subjects. Am I Eligible for DU LLB 2017? Yes, you are eligible for DU LLB, provided, you have cleared your UG/PG course with 50% aggregate.